The success of the animated Disney film caught toymakers by surprise last year, but this year they are making up for it. NEW YORK — ‘‘Frozen’’ is still hot. Disney’s movie about a princess with magical powers was released on Thanksgiving last year and racked up more than $1 billion in global ticket sales, making it the fifth-highest grossing film of all time. 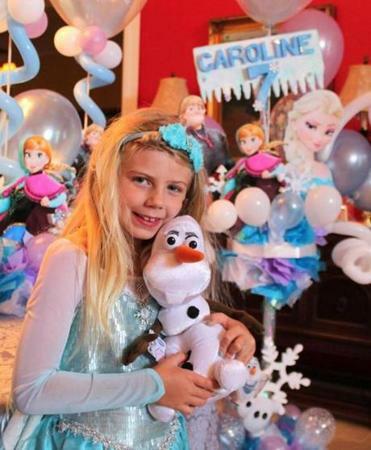 The success caught toymakers by surprise, resulting in a dearth of related merchandise and creating a secondary market that saw ‘‘Frozen’’ dresses selling for more than $1,000 online. This holiday season, Disney and its licensees are better prepared, with plenty of inventory and products to satisfy fans. The ‘‘Frozen”-themed items on this year’s list are a singing, moving doll of the movie’s protagonist, Elsa, as well as the Cool Tunes Sing-Along Boombox — a small karaoke machine for the film’s best-selling soundtrack. Both items retail for about $35. ‘’Disney is on the pulse of the American heartbeat these days,’’ Schacht said. Other top toy lists also are released around this time of year by retailers including Wal-Mart Stores and Toys ‘‘R’’ Us, which said Monday it will add 45,000 seasonal employees, the same as last year. While their selections often overlap with independent lists like the Toy Insider’s, the retailers tend to have more items from the industry’s major manufacturers, such as Mattel and Hasbro. Mattel, the world’s largest toymaker, had two toys on the Toy Insider’s list, and Hasbro had just one. Lego had a lone item as well, a construction set based on Star Wars, another Disney property.